Rent Virtual Ski & Snowboarding Studio | Corporate Events | Wedding Locations, Event Spaces and Party Venues. SkyTechSport offers you a unique event idea. Surprise your guests with an unforgettable snow sports party on incredibly realistic Ski & Snowboard simulators right in Beverly Hills. 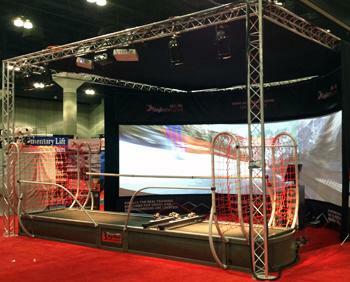 Go down virtual races, try Giant Slaloms, run a breathtaking competition and see who's the fastest!